Roettig, C-B., Varga, Gy., Sauer, D., Kolb, T., Wolf, D., Makowsky, V., Recio Espejo, J. M., Zöller, L. and Faust, D. (2019). Characteristics, nature and formation of palaeosurfaces within dunes on Fuerteventura. Quaternary Research 91, pp. 4-23. Kovács, J. – Raucsik, B. – Varga, A. – Újvári, G. – Varga, Gy. – Ottner, F. (in press). Clay mineralogy of red clay deposits from the Central Carpathian Basin (Hungary): Implications for Plio/Pleistocene chemical weathering and paleoclimate. Turkish Journal of Earth Sciences 22. pp. 414–426. Varga, Gy., Kovács, J., Szalai, Z., Újvári, G. (2017). Grain size of loess and paleosol samples: what are we measuring? Geophysical Research Abstracts, Vol. 19. EGU2017-7315-1. EGU General Assembly 2017, 2017. April 23-28. Szalai Z., Varga Gy. (2017). Malvern Morphologi G3-ID: új eszköz a méret és alakanalízisben. 12. Téli Ásványtani Iskola. Veszprém, 2017. January 20-21. Varga Gy., Kovács J., Szalai Z. (2017). Létezik-e kompromisszummentes szemcseméret-meghatározás? 12. Téli Ásványtani Iskola. Veszprém, 2017. January 20-21. Varga, Gy., Újvári, G., Kovács, J., Jakab, G., Kiss, K., Szalai, Z. 2016. Granulometric profiling of aeolian dust deposits by automated image analysis. Geophysical Research Abstracts, Vol. 18. EGU2016-5512-2. EGU General Assembly 2016, 2016. 04. 17-22. Varga Gy 2016. Recent and past Saharan dust deposition in the Carpathian Basin and its possible effects on interglacial soil formation. Geophysical Research Abstracts, Vol. 18. EGU2016-12480-1. EGU General Assembly 2016, 2016. 04. 17-22. Varga, Gy. 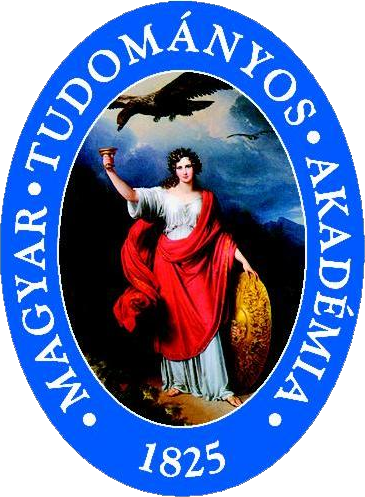 ; Újvári, G.; Kovács, J.; Szalai, Z. Effects of particle optical properties on grain size measurements of aeolian dust deposits. Geophysical Research Abstracts, Vol. 17. EGU2015-9848-1 http://meetingorganizer.copernicus.org/EGU2015/EGU2015-9848-1.pdf EGU General Assembly 2015, 2015. április 12-17. Varga, Gy. ; Kis, É. Various environments of interglacials recorded by Pleistocene paleosoils in Hungary (Central Europe). Geophysical Research Abstracts, Vol. 17. EGU2015-10147 http://meetingorganizer.copernicus.org/EGU2015/EGU2015-10147.pdf EGU General Assembly 2015, 2015. április 12-17.